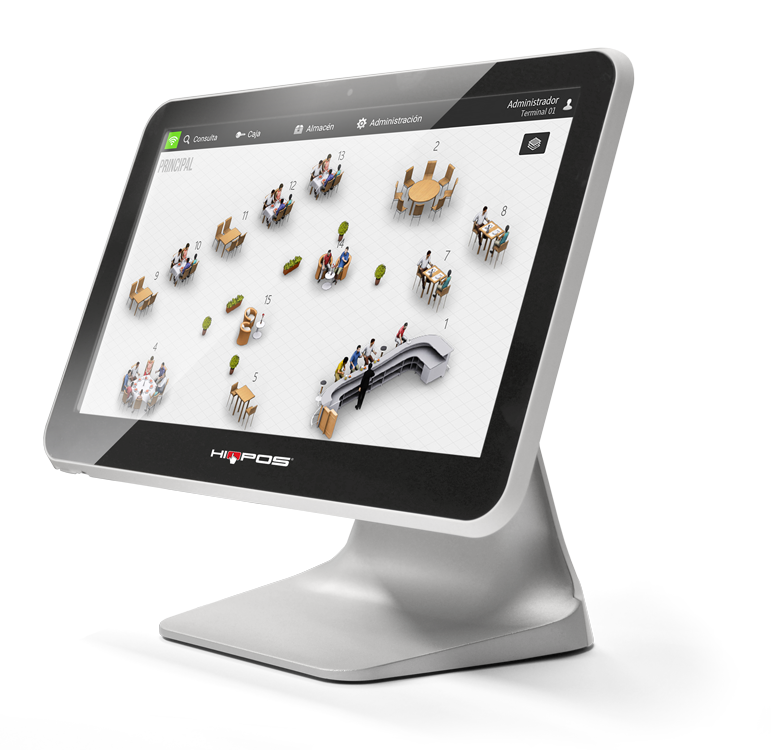 HIOPOS tables screen allows to intuitively and easily display all the open tabs in your restaurant. Gain comfort and agility thanks to the graphic tables design. 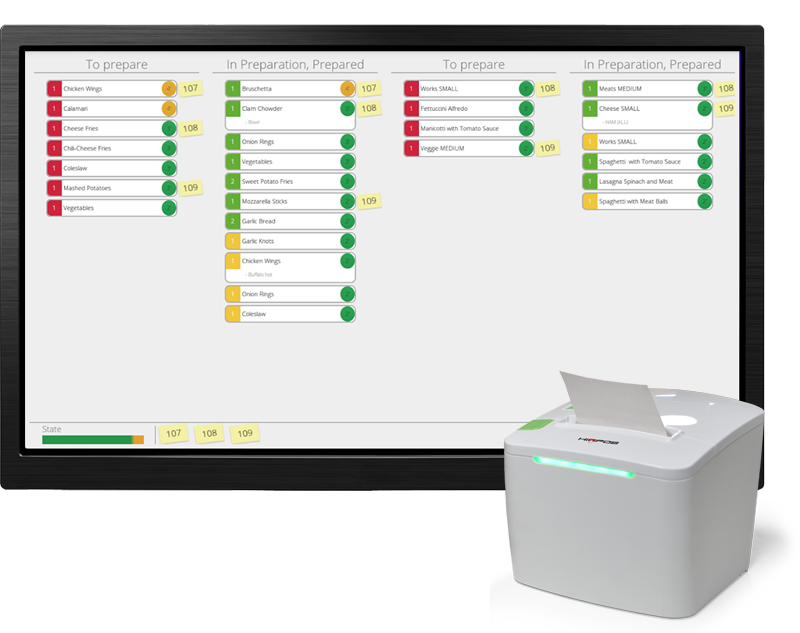 Configure different printer situations and manage orders in the most efficient way. 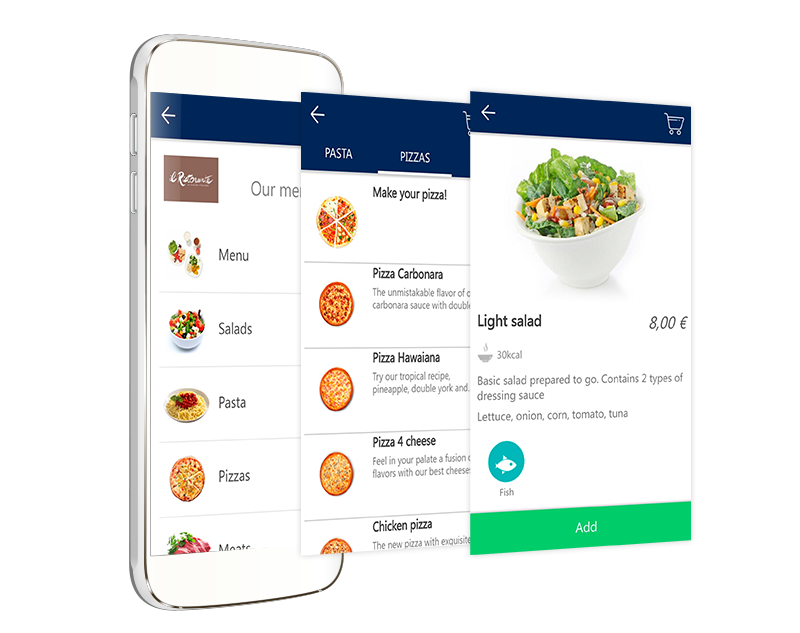 Connect HIOPOS with our kitchen screens and you will be able to control the orders statuses in real time. 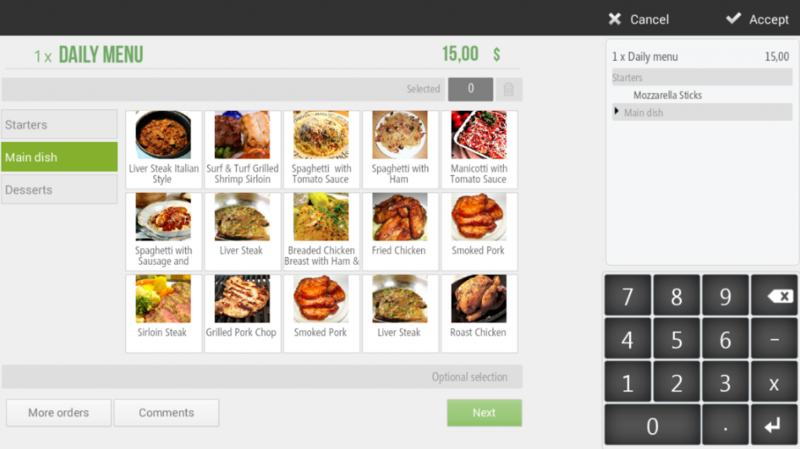 Create and customize menus and forget to check and change plates periodically. 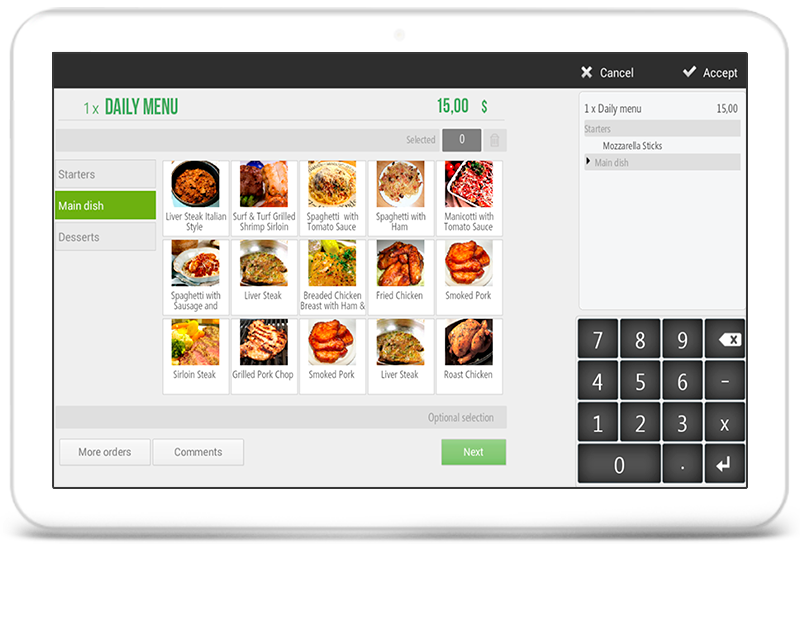 With the HIOPOS Combo/Offers/Menus you will be able to select which items and which days of the week will be on the Menu. 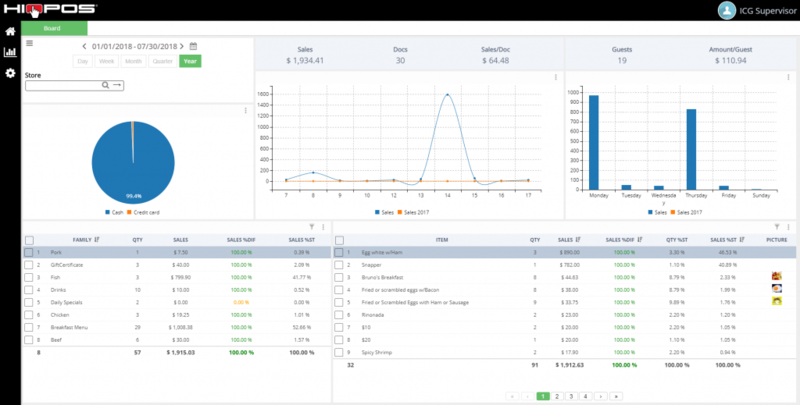 Add items from your database without creating new ones and automatically increase the price of them with special items or modifiers. Take orders in less time. 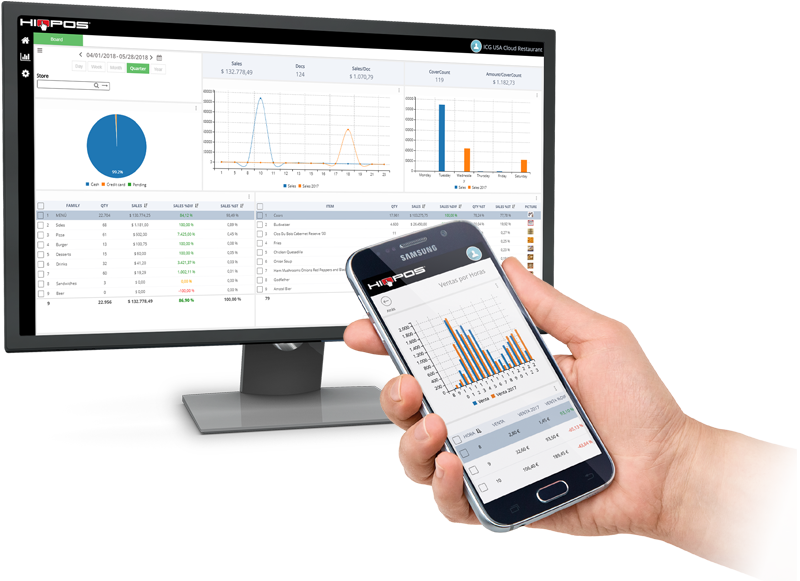 Increase tables rotation and optimize the service with the portable devices sending orders instantly to the printers or kitchen screens. 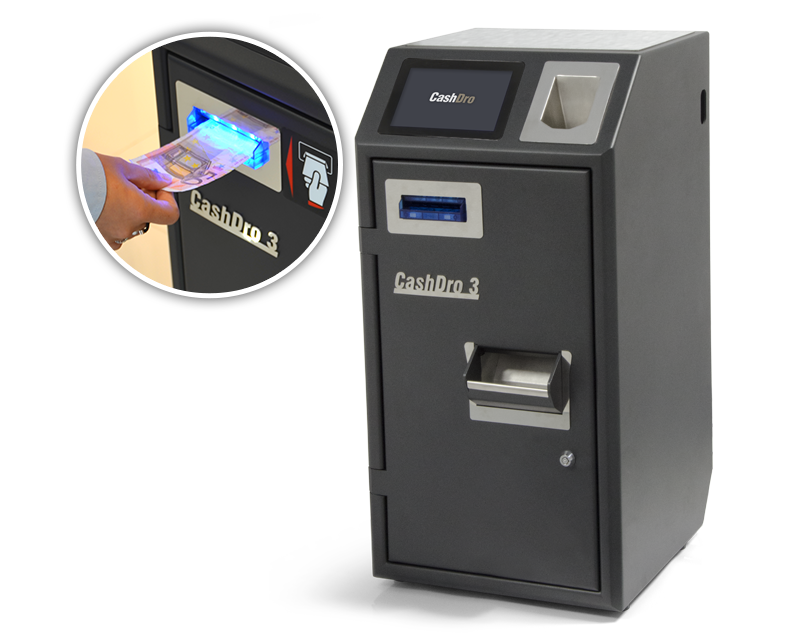 Streamline the sale collecting sales directly from the tables by card. From your own website or facebook your customers can book online 24 hours a day seven days a week from anywhere in three easy steps. In real time and from any device. 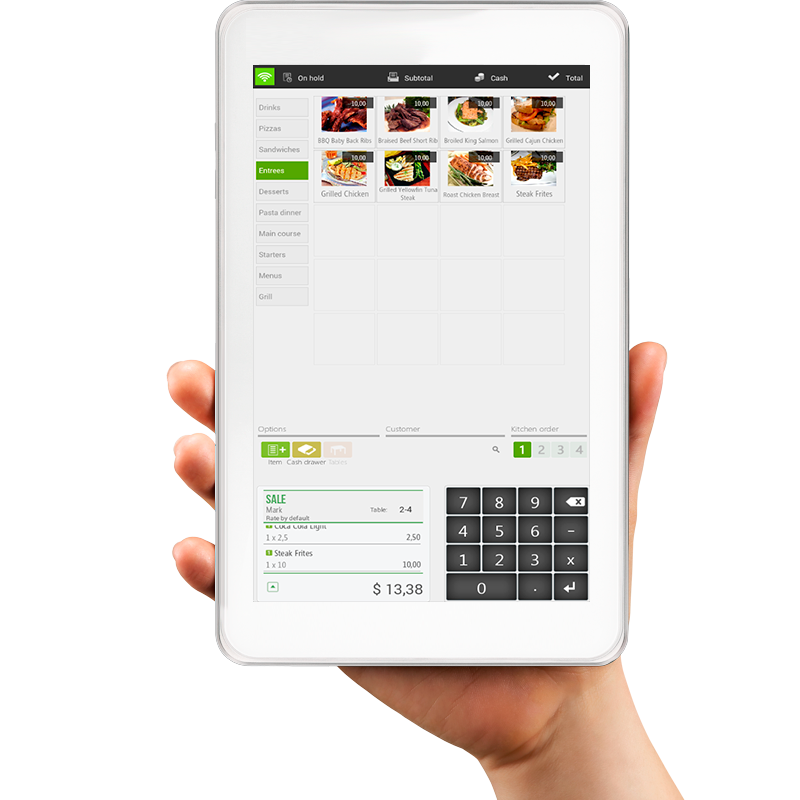 With the online ordering module you shall increase take away orders. 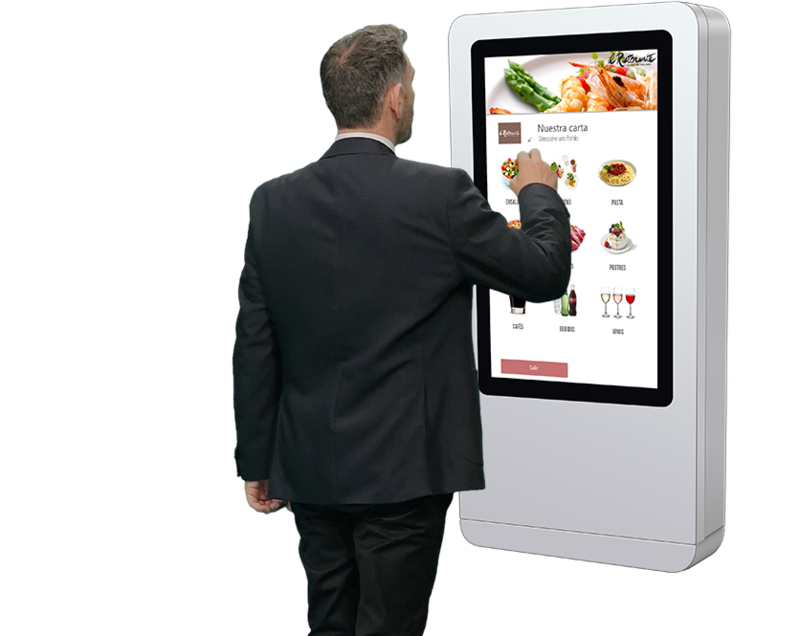 The clients have access to the restaurant menu, check the available dishes, know all possible allergens, they might place the order, choose where to pick it up and pay it by phone. You will receive the payment directly into your bank account. Link HIOPOS with T-Menu. 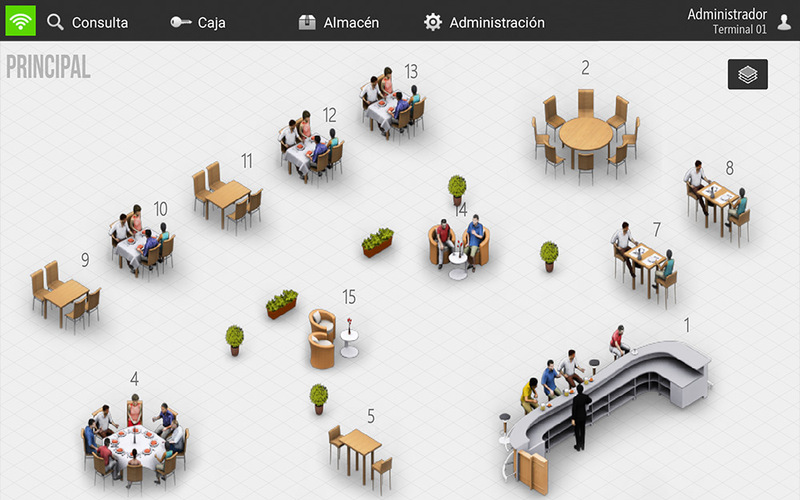 It is a multilingual e-menu that allows to save printing costs of your daily menu. 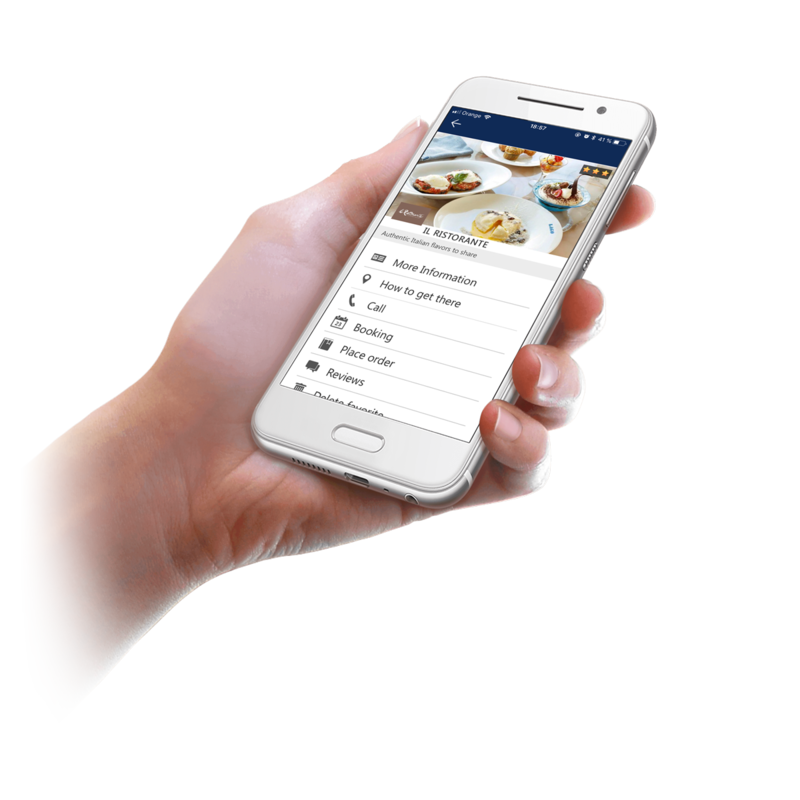 Your clients can view the menu interactively with photos, items description, ingredients information, allergens, calories and prices. 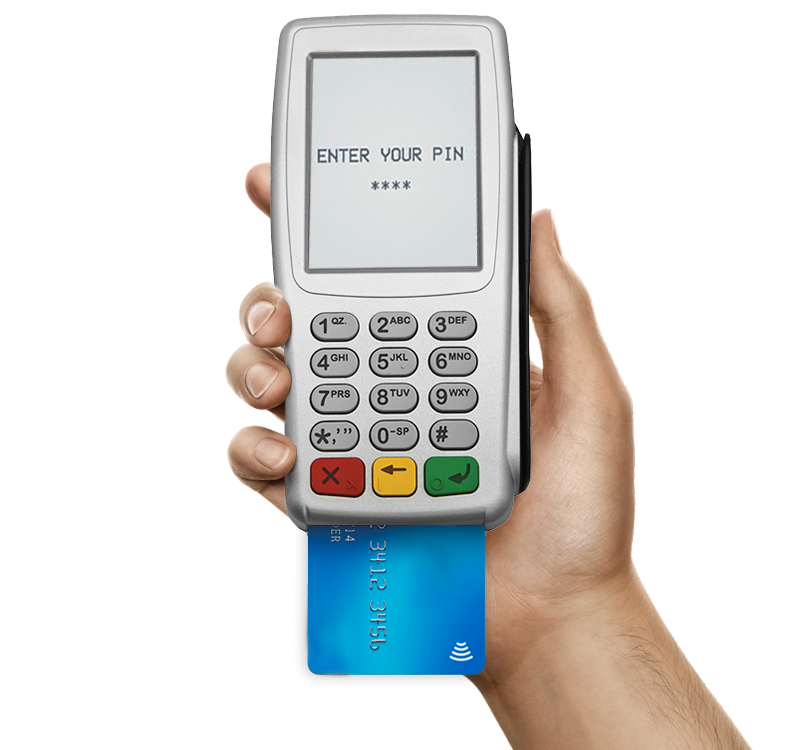 If you are a chain or franchises owner set your Points of sale by zone and language with a single click. This will give you a competitive advantage since you will be able to sell anywhere in the world regardless the employee's language, currency and taxes.